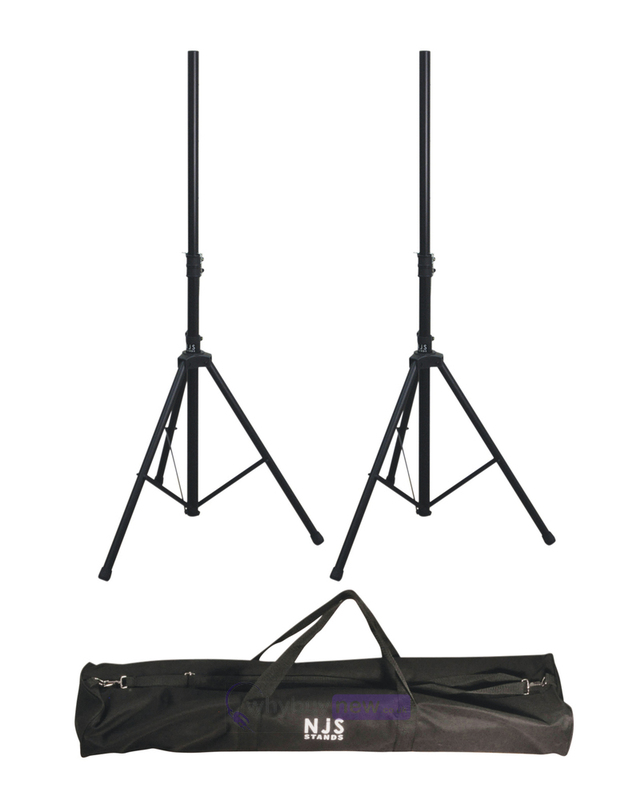 This is the NJS 35 mm Adjustable PA Speaker Stand Kit from New Jersey Sound; a high-quality affordable set of speaker stands and bag ideal for students or anyone on a tighter budget. The stands in this kit are professional standard and made from steel, including the locking pin making them incredibly sturdy and hard-wearing, and making the NJS 35 mm Adjustable PA Speaker Stand Kit an excellent investment. 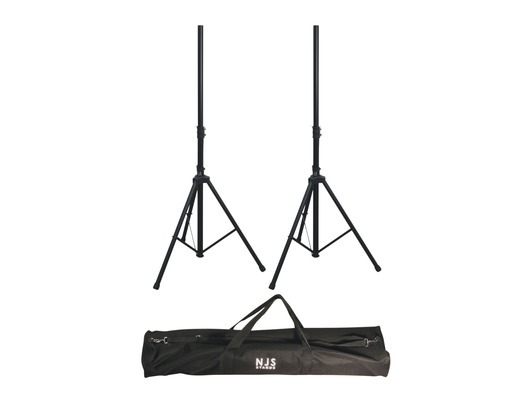 A high quality black speaker stand supplied as a kit. The stands are manufactured from steel. With a 35 mm centre pole and steel locking pin the stand is capable of a 40 kg maximum load. Supplied in a heavy duty Nylon carrying bag. Full height of bag when in use is 1000 mm, width and depth both 150 mm.